Uganda is one of the countries to be among the 211 Members that will take part in the 2018 Federation of International Football Association (FIFA) Congress which starts on Wednesday. Uganda Football Associations (FUFA) President Moses Magogo will lead the three man delegation which also has Justus Mugisha (first vice president) and the CEO, Edgar Watson. The Congress will take place on June 13 at the Expo centre in the Russian capital of Moscow. FIFA President Gianni Infantino will head the Congress discussions. A number of key decisions are set to be made at the annual gathering of FIFA officials. The hosts of the 2026 FIFA World Cup will also be decided in the Congress. Currently there is a combined North American bid comprising of the United States, Canada and Mexico. Morocco is the other bid country aiming to win the rights to host the FIFA World Cup in 2026. 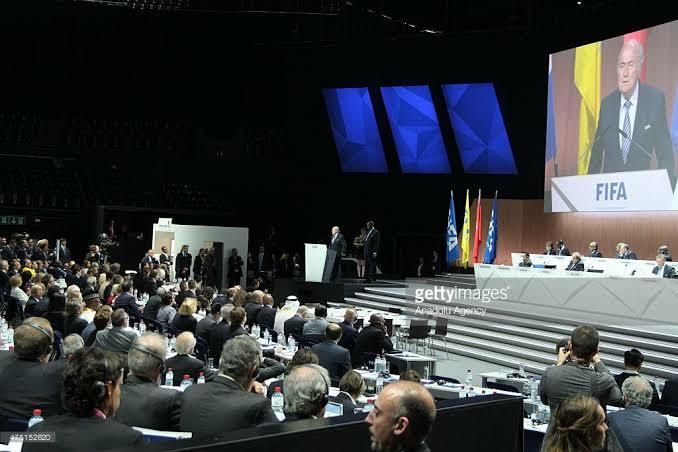 In a procedural step, the FIFA Council in its meeting held on Sunday, June 10, ratified the Moroccan bid and United States bid to be put forward to be voted for on 13 June. The FIFA Council designated the two bids – the one jointly submitted by the Canadian Soccer Association, the Mexican Football Association and the United States Soccer Federation, as well as the one submitted by the Moroccan Football Association – to be voted on by the 68th FIFA Congress. FIFA Congress will therefore determine whether to award the right to host the 2026 FIFA World Cup to one of the two candidates. In the event that the 68th FIFA Congress decides not to choose either of the candidates, FIFA will then launch a new procedure by inviting all member associations – except the four that are taking part in the current process – to submit a bid to host the 2026 FIFA World Cup. In another key decision passed, the FIFA Council unanimously agreed that the matter raised by the member associations of Argentina, Bolivia, Brazil, Chile, Colombia, Ecuador, Paraguay, Peru, Uruguay and Venezuela. Therefore, the proposal of a feasibility study to increase the number of teams from 32 to 48 in the 2022 FIFA World Cup – will first be discussed by FIFA with the host country, Qatar, and therefore it would be premature to put it forward to the FIFA Congress. The next session of the FIFA Council meeting will be held in Rwanda from 25th to 26th October 2018. CAF will hold their traditional meeting on the side-line of the FIFA Congress on Monday, June 11 at Crowne Plaza Hoyel in Moscow, Russia.